As we all anticipate the unofficial beginning of spring and the golf season as represented by next week's Masters Tournament, we'd like to wish new Masters Chairman Fred Ridley, a longtime fixture in the golf course industry much success in his first Masters as Chairman. We all have come to expect nothing but the best from him. A few days ago, an article in The Washington Post highlighted what is an interesting debate in the golf and club industry. Two clubs in Arlington County, Virginia (with which I am quite familiar) are being assessed based on their highest and best use. 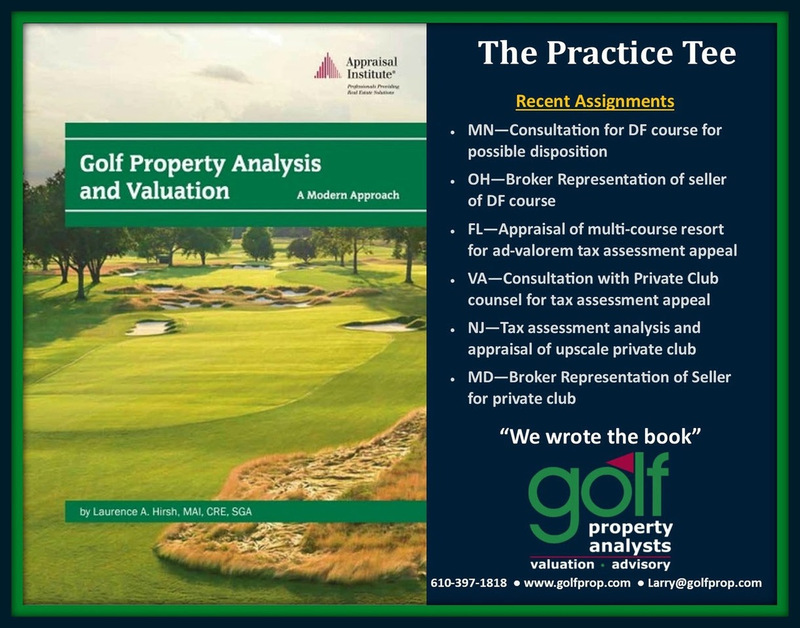 This concept is typical in most states and golf and club properties often bear the burden of tax assessments based on values that may represent potential use as a development site which can far exceed the value based on continued use as a golf or club facility. The Arlington clubs have sought (and received) legislation from the Virginia General Assembly and State Senate which is awaiting the signature of Governor Ralph Northam. As with most legislation these days, there is considerable debate as to whether the clubs should receive what some characterize as preferential treatment or continue to be assessed based on their development potential. Golf management companies are typically retained by clubs/courses requiring professional assistance in enhancing the performance of the club. 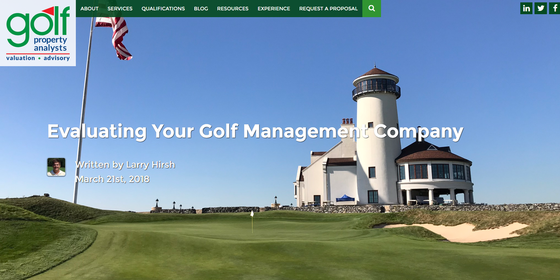 In most cases, they’re retained because they possess knowledge and expertise that ownership or club members don’t have in the area of operations, which includes marketing, agronomy, food & beverage and the other elements of successfully running a golf course or club. Accordingly, it’s not unusual to observe a blind allegiance to the management company retained, often because of a good marketing job by the management firm in developing a relationship. 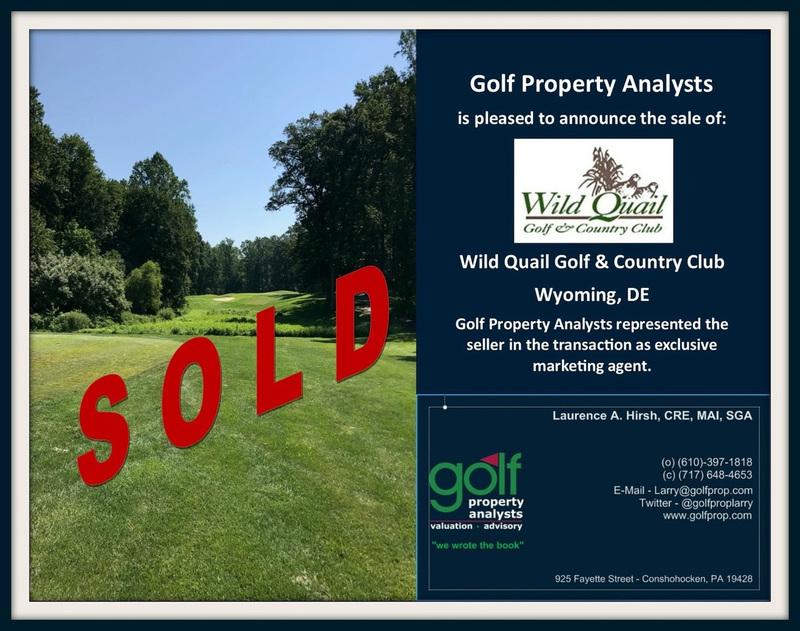 It seems as though we’ve been fielding lots of calls about golf and country clubs lately that serve as the main amenity for planned residential communities. Sometimes these clubs are private and other times are open for public, daily-fee play. Regardless of the club’s operating profile or whether the club is owned by members, investors or the Property Owner’s Association/Homeowner’s Association (POA/HOA), the POA/HOA and the owners themselves have a distinct interest in the health and future of the club.